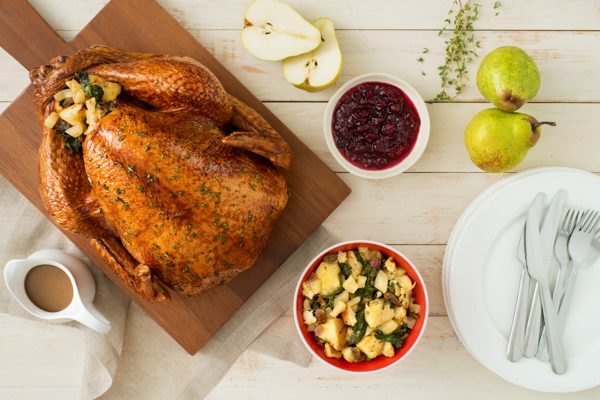 Spruce up your traditional Thanksgiving fare with these different main dish ideas. 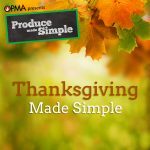 These ideas are Thanksgiving main dishes made simple, yet are huge crowd pleasers too! butter or oil, add sage for the Thanksgiving flavour along with any other spices you like, then add vegetable broth. Add a tablespoon or two of all-purpose flour and/or cornstarch, then cook until thickened. 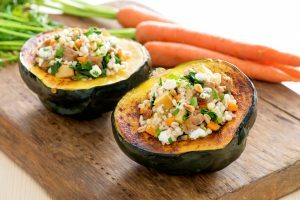 Check out our article for more veg-friendly ideas! Finding a theme there? Don’t wrestle with stuffing a turkey when you can stuff a bell pepper! 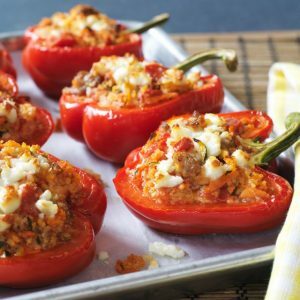 These sausage and couscous stuffed bell peppers are sure to be a hit even for Thanksgiving. Pumpkins aren’t just for pie and halloween! 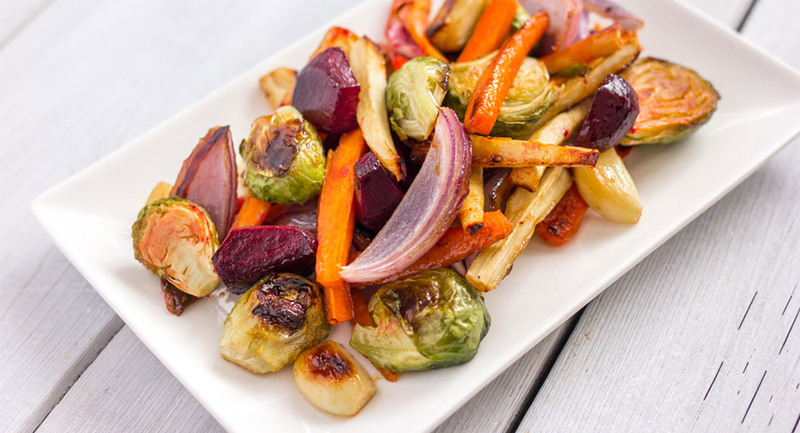 Stuff them to make a more vegetable-focused Thanksgiving main! 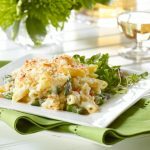 Make this crowd-pleasing vegetarian-friendly main dish: Ontario asparagus penne bake! Save yourself the food coma, try serving zucchini zoodles with pesto and shrimp instead! Love cranberry sauce but want to try something different? Why not try serving this red wine cherry sauce instead? Stuff more veggies into your family by making your own stuffing! Aromatic produce like celery, fennel, carrots, shallots, onions, or apples make stuffing flavourful. Adding herbs like thyme, sage, and parsley add extra flavour as well. 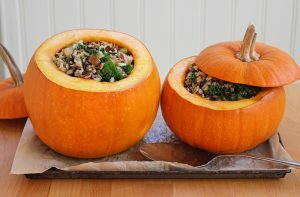 Try stuffing acorn squash halves with rice, sausage, seasoned quinoa, mushrooms, onions or bell peppers as a main dish. Add some dried cranberries or some cranberry sauce. Who says turkey needs to be the star of Thanksgiving? 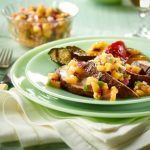 Try serving pork tenderloin with Ontario peach salsa or celery root and onion gratin.